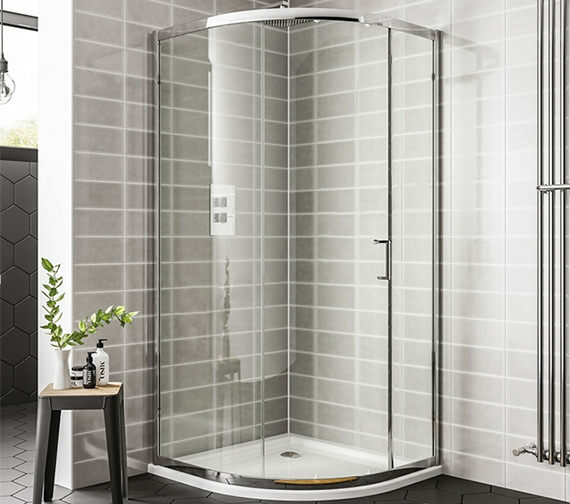 Now you can gift yourself incredibly refreshing showering moments by adorning your shower area with this Quadrant Shower Enclosure from the popular Spring range of Essential. This unit is produced to the highest standards from best quality clear glass and will keep you smiling for years with its excellent performance. The elegant square handle gives this unit a sleek finish. The gleaming chrome finish of the frame will elevate the style element of your bathroom décor. This unit is backed by a 10-year manufacturer guarantee against any manufacturing defects and is available in many sizes.